Boels Rental, one of the largest rental companies in Europe placed another order for 100 Leonardo HD (Heavy-Duty) platforms in October 2015, which follows the first order made in June 2014 and brings Boels fleet of Leonardo HD to 200 units. The first batch of 50 units was delivered at the beginning of January, with the remaining 50 units due to be delivered in June. The Leonardo HD (Heavy-Duty) is a versatile piece of equipment, suitable for the majority of low level applications on various projects, from new constructions to renovation works. It fits easily into tight enclosures, typically found during fit-out and renovation works, but at the same time, it also offers a ground clearance of 87mm and it is tough enough to work on new construction sites, for very early indoor applications, when the environment is extremely harsh and the floor is covered with debris. Leonardo HD’s versatility has given Boels a high utilisation rates. This, combined with low cost of ownership and quick turnaround, has resulted in a good return on investment, which has led the company to further invest in the product. 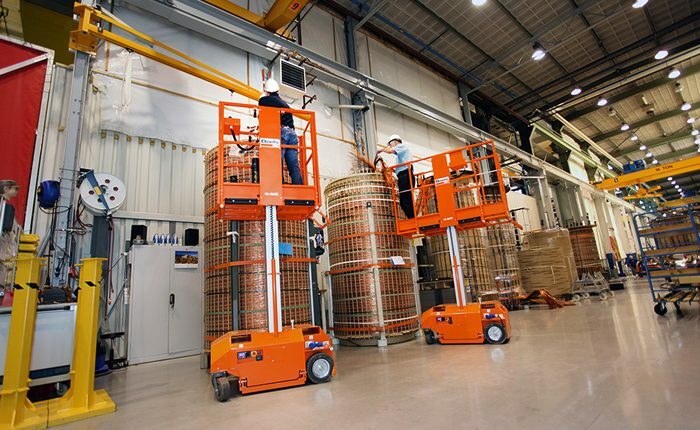 Boels Rental is one of Europe’s leading rental organisations, its service includes assisting business customers in various sectors with project realisation, logistics and equipment management. With its international rental fleet, Boels Rental performs work for numerous sectors including the construction industry, the event sector, governments and non-profit organisations.